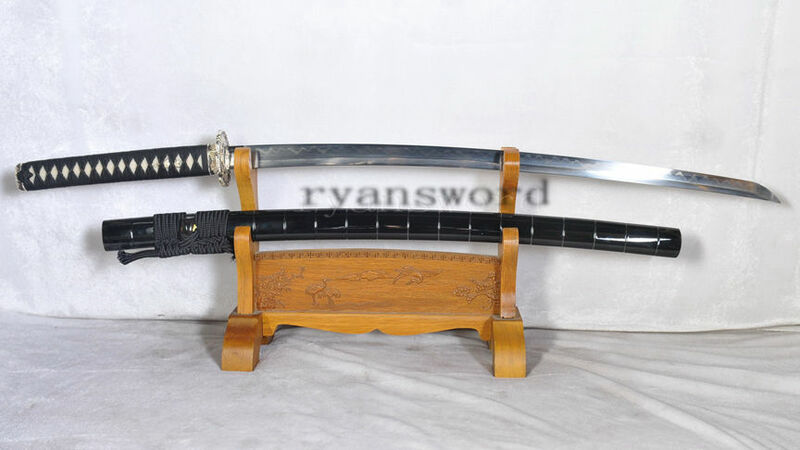 Ryan1168 is one of our midlevel swords. 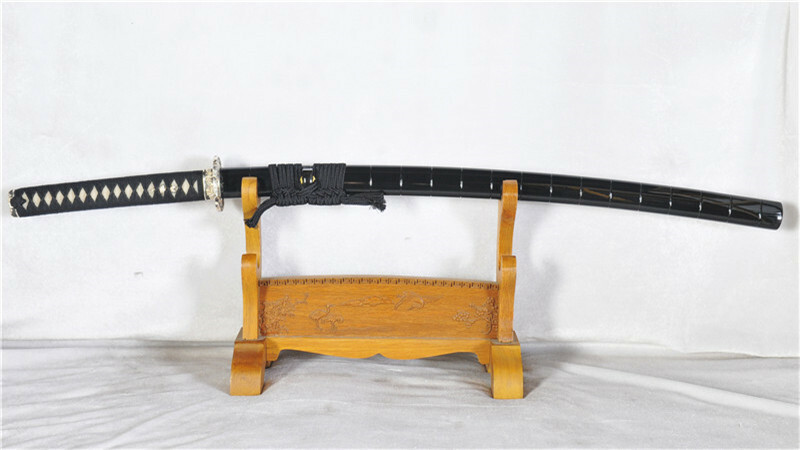 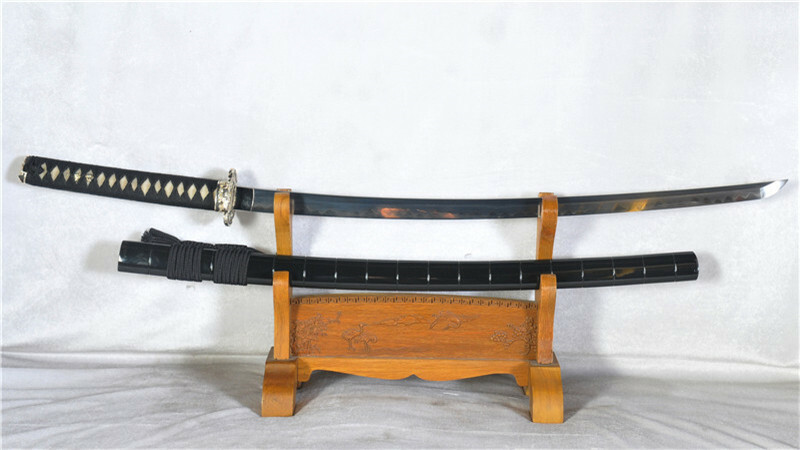 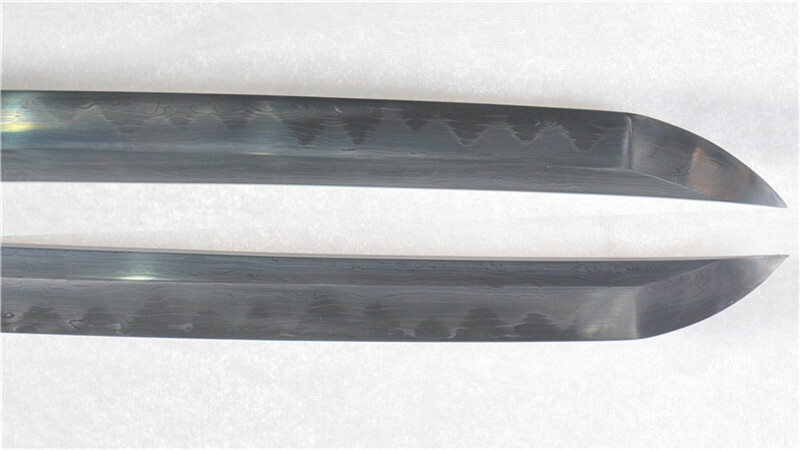 The blade is of a shinogi-zukuri geometry and in a gyaku kobuse style of lamination. 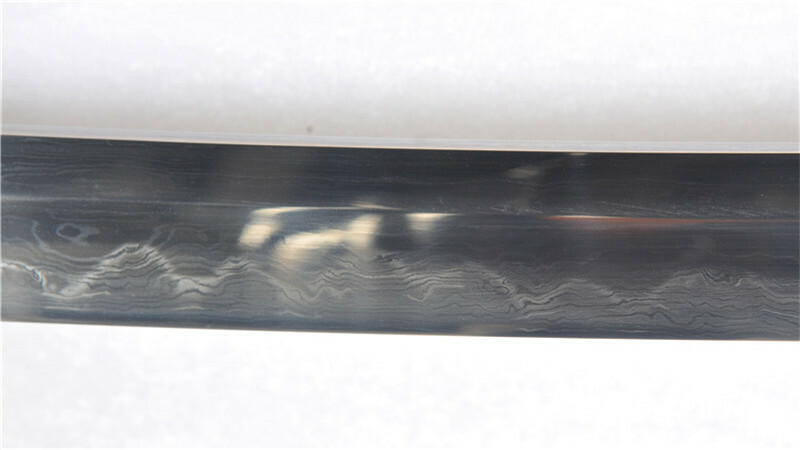 The edge is made of 1095 high carbon steel while the core is made of a softer steel. 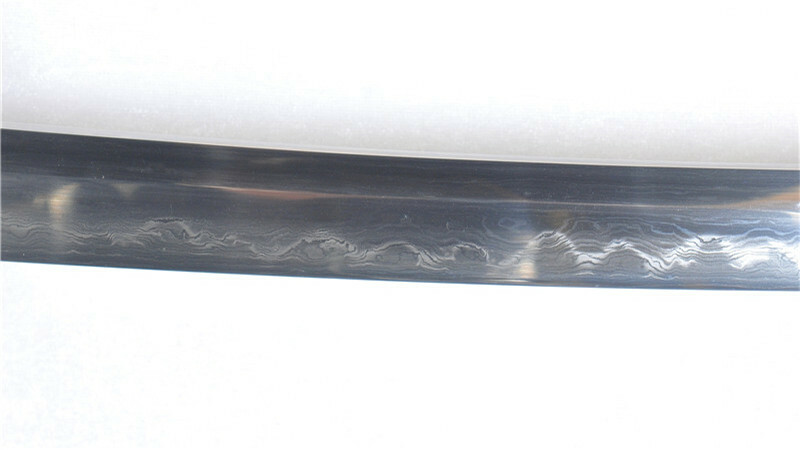 The blade is differentially-hardened with a natural hamon and can take on hard targets. 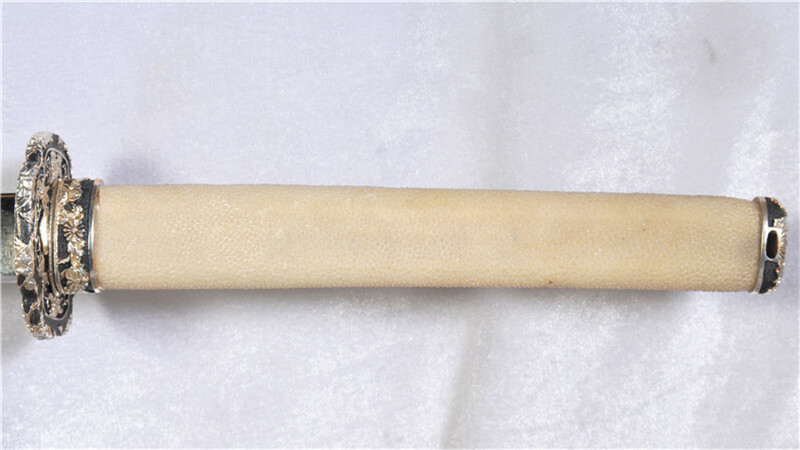 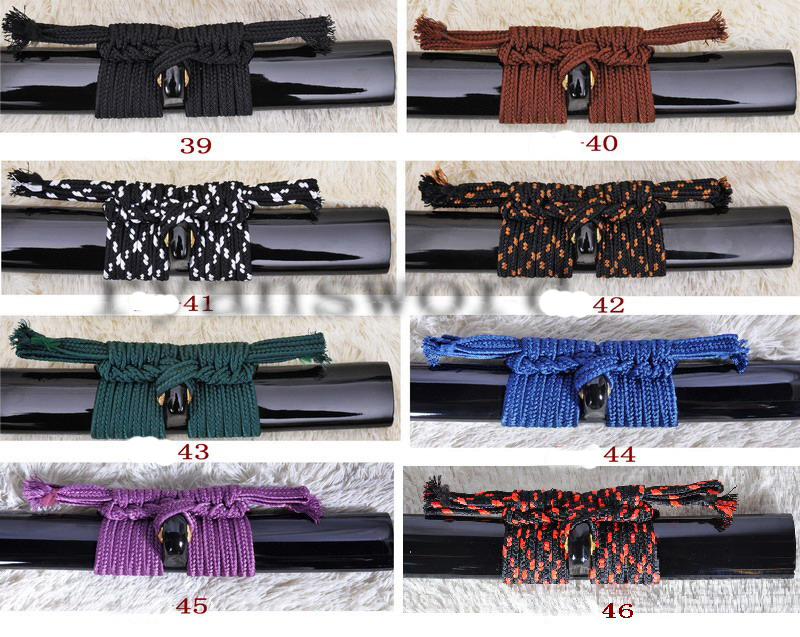 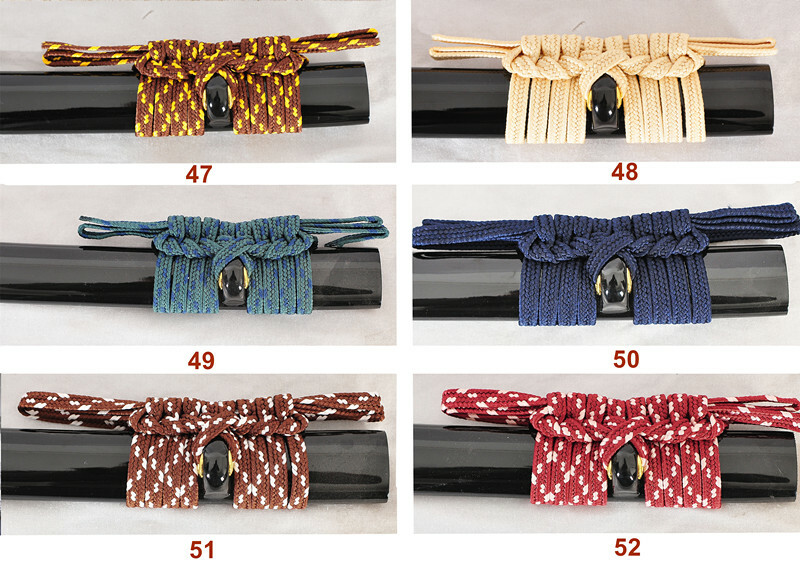 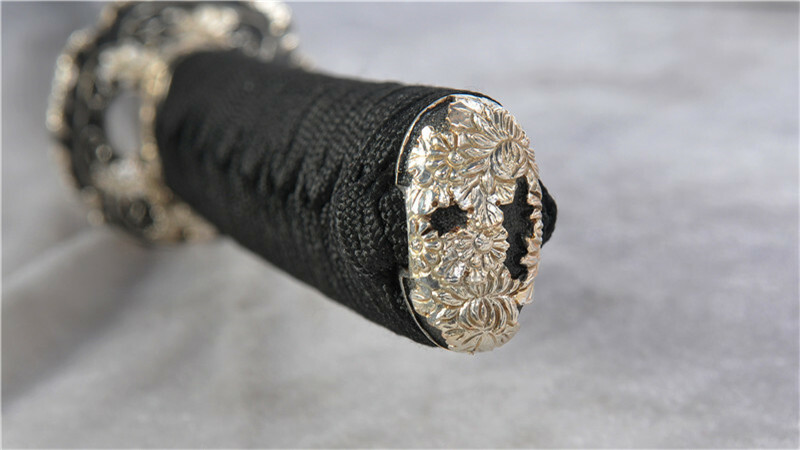 The tsuka is made of hardwood, fully-wrapped with real, white samegawa or rayskin and black, synthetic, silk ito in hinerimaki wrap. 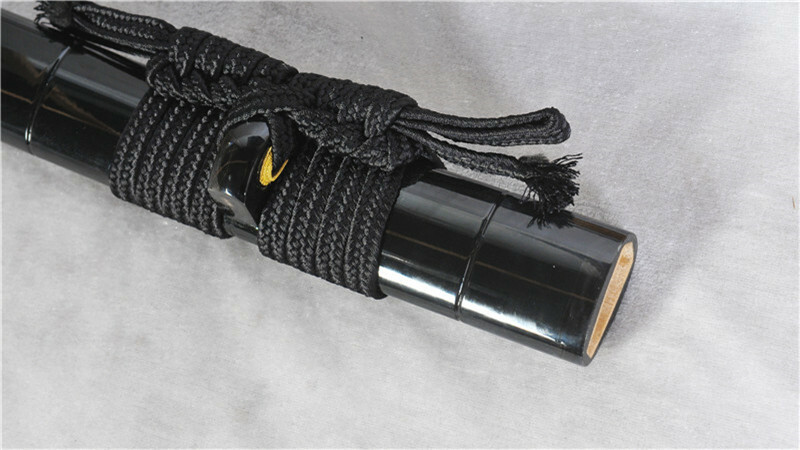 A tsuka core which is fully wrapped with rayskin is stronger than one which only has rayskin panels. 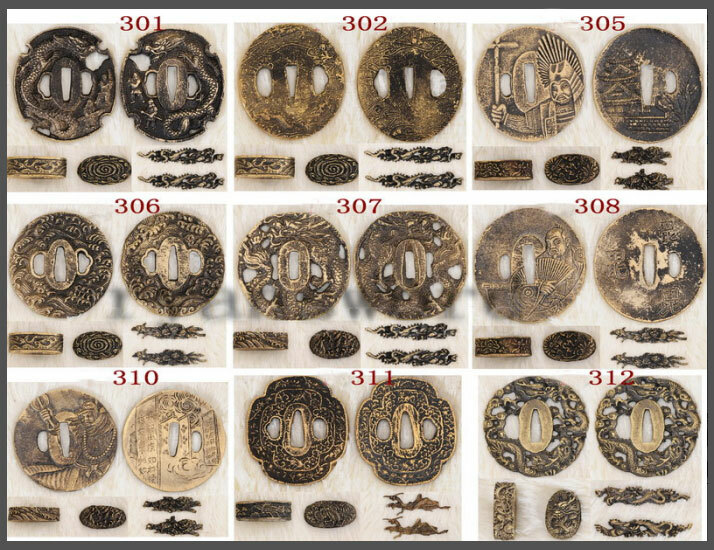 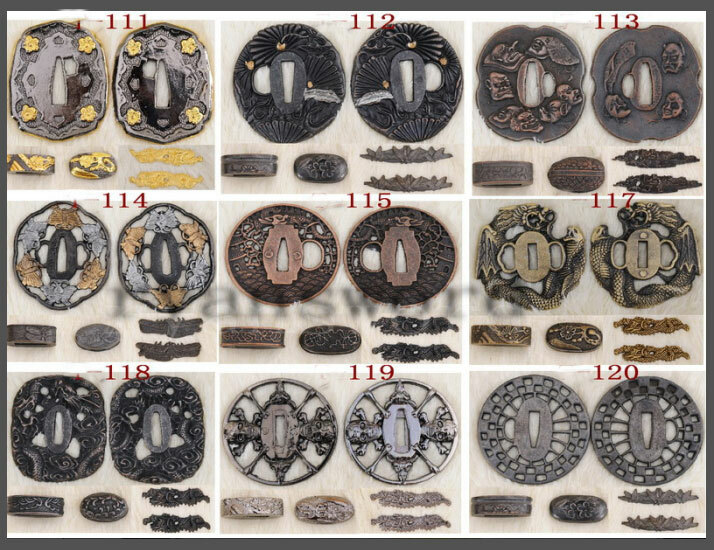 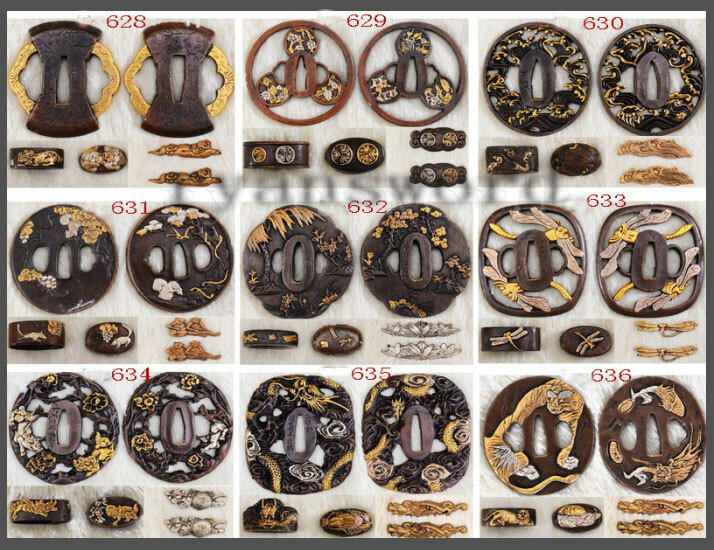 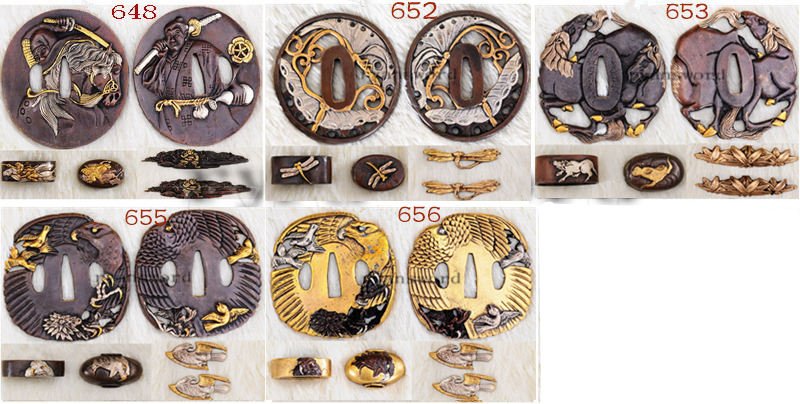 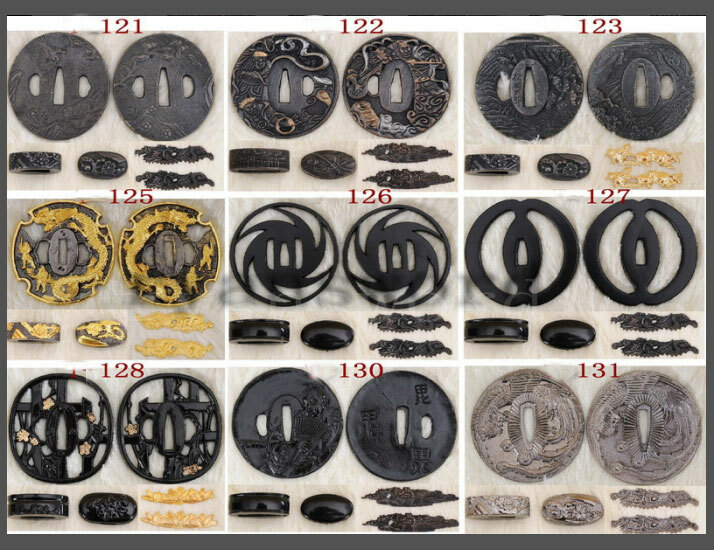 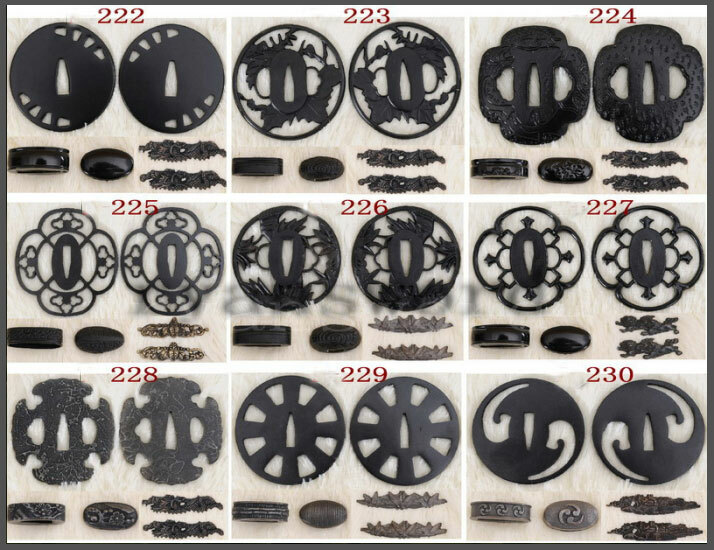 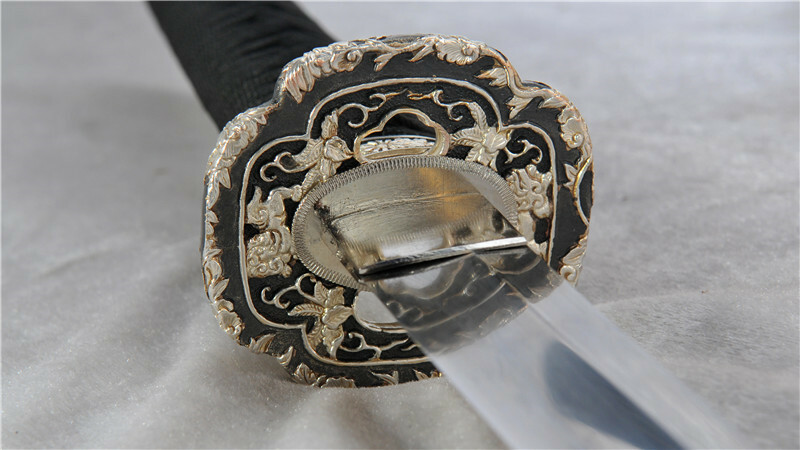 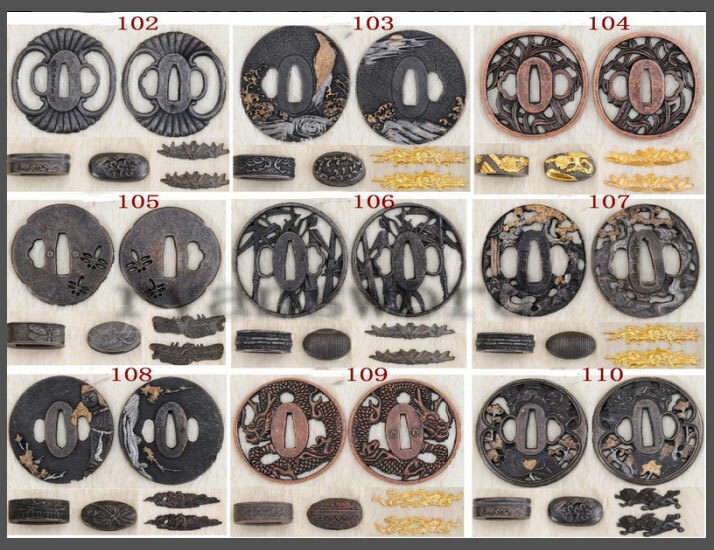 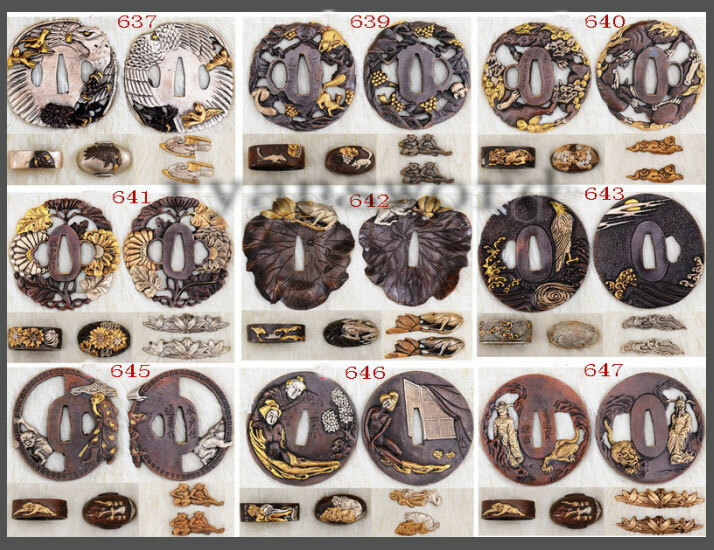 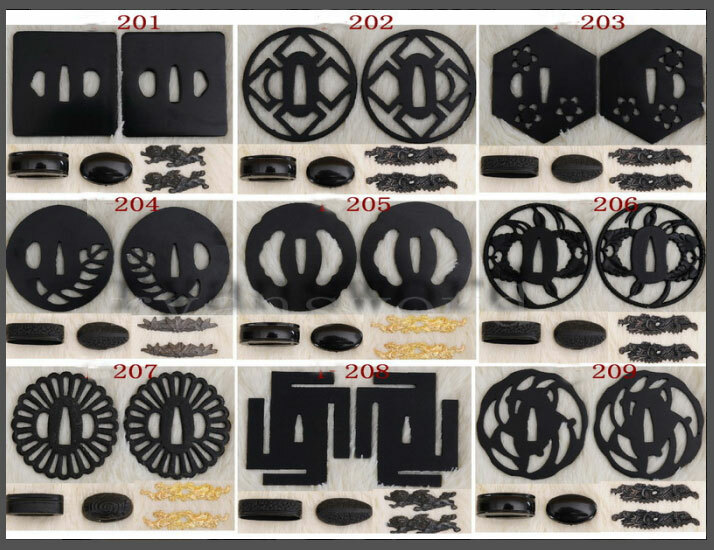 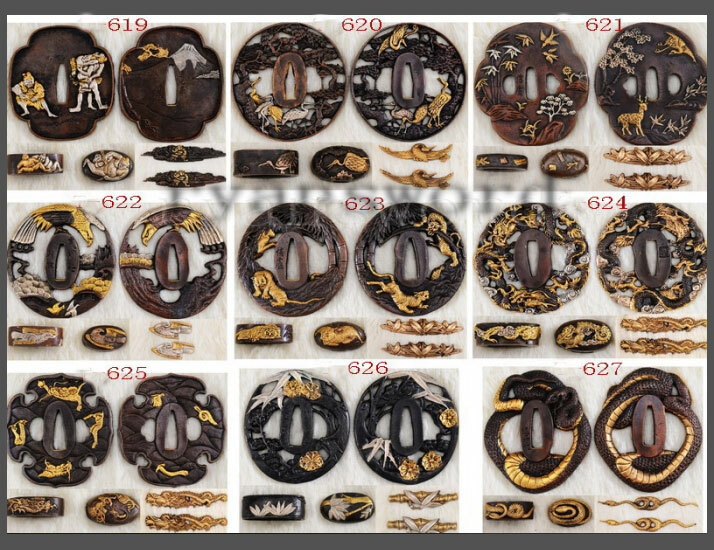 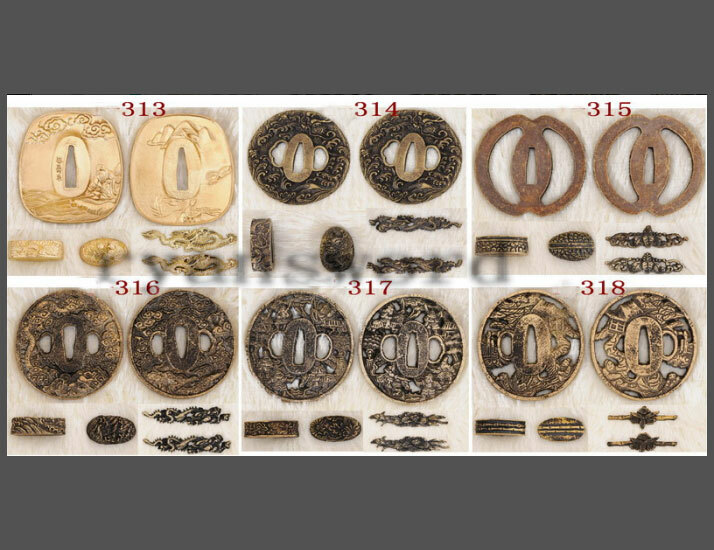 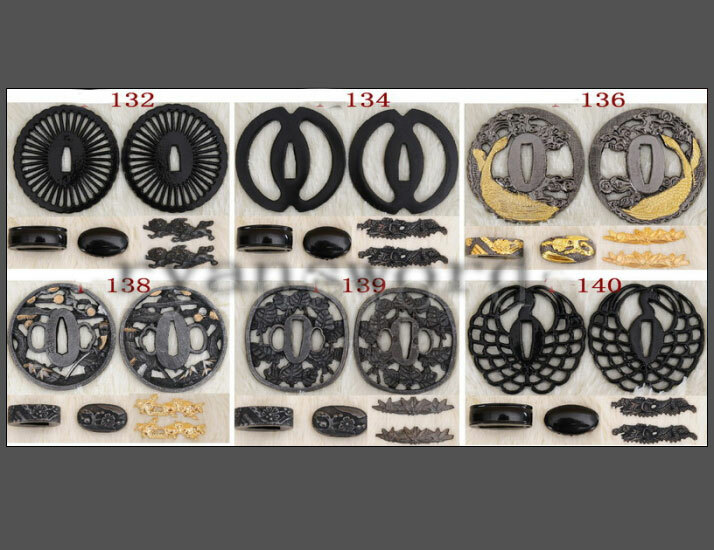 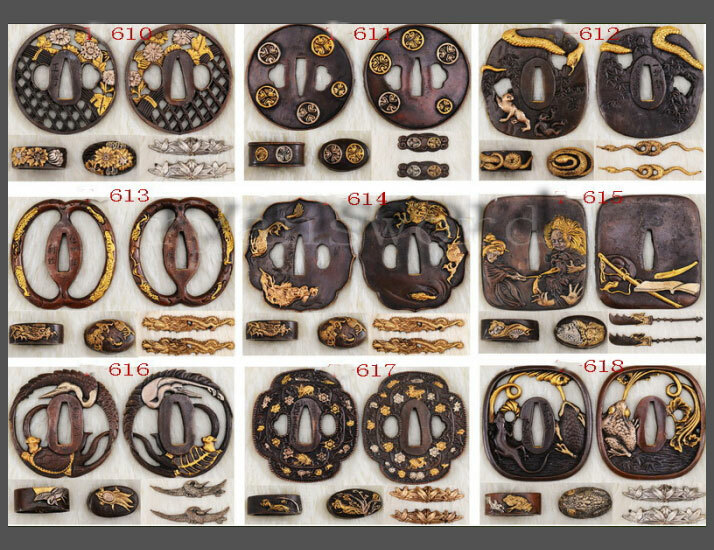 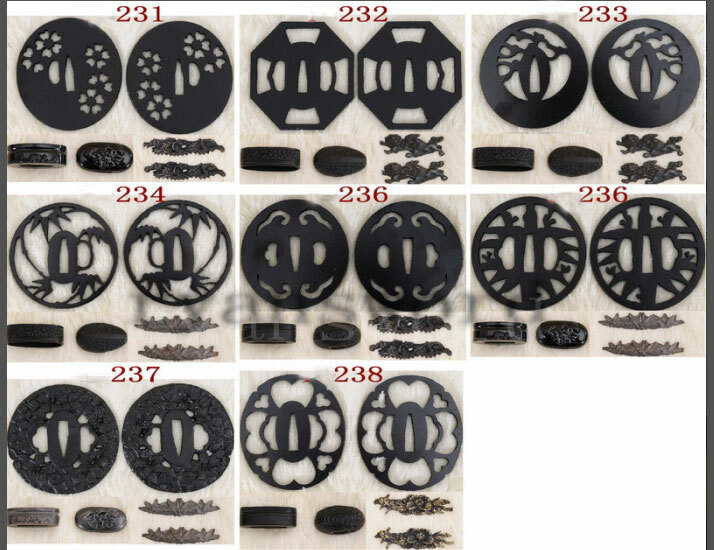 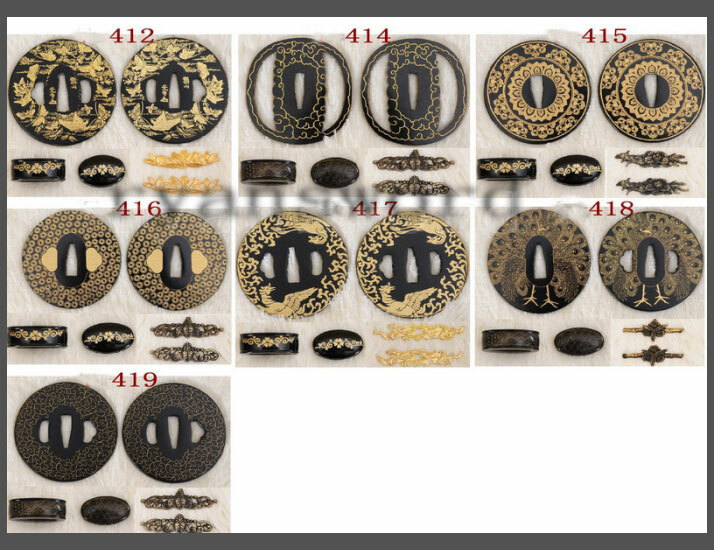 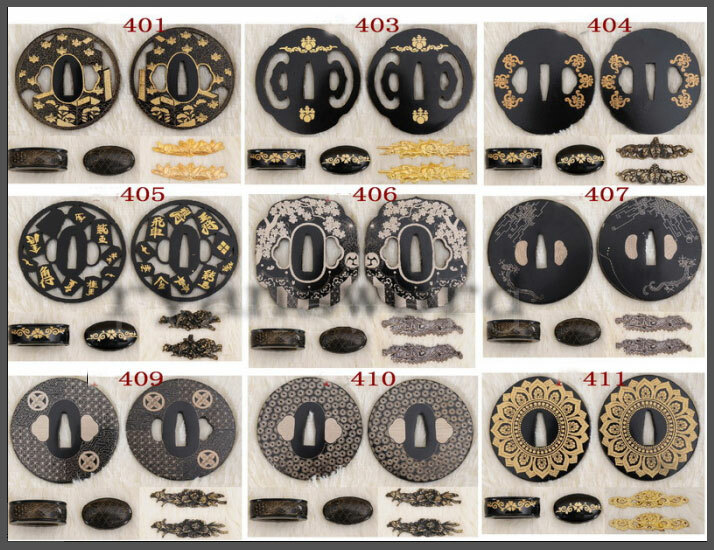 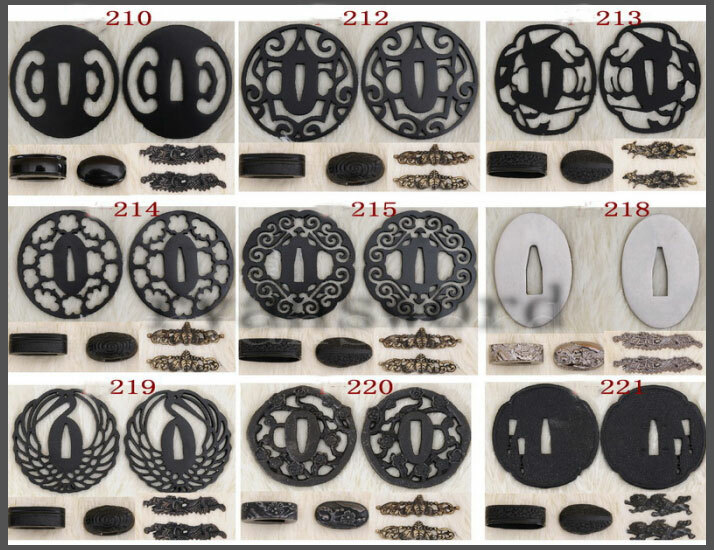 The tsuba, fuchi and kashira are all made of copper inlayed with silver and feature an intricate flower theme. 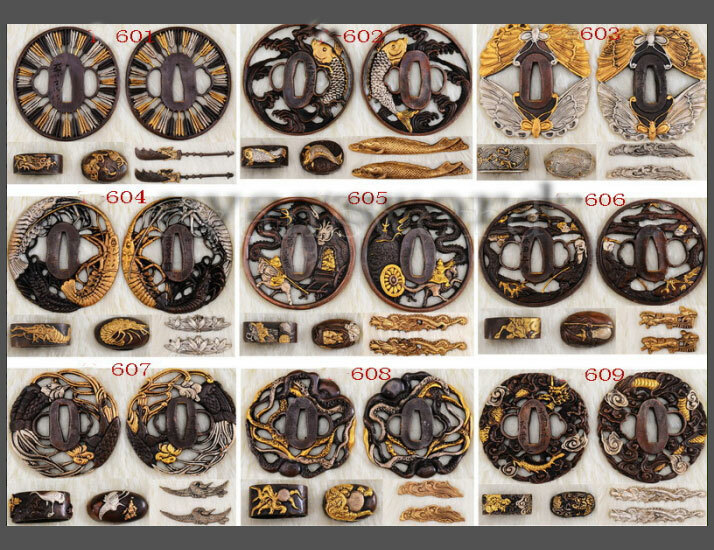 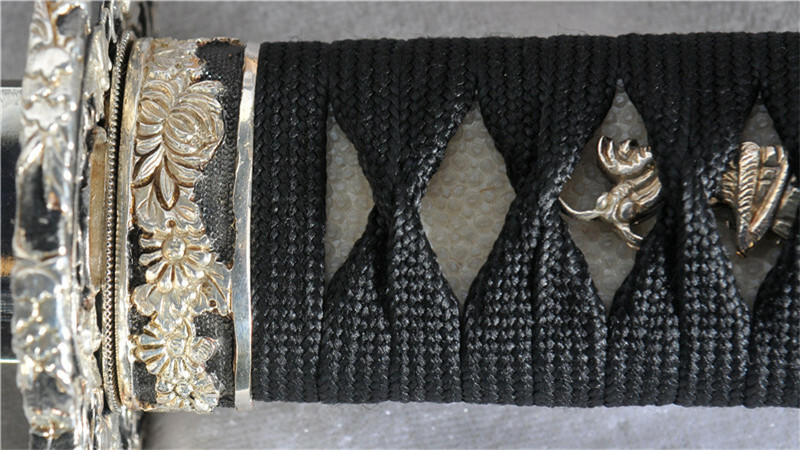 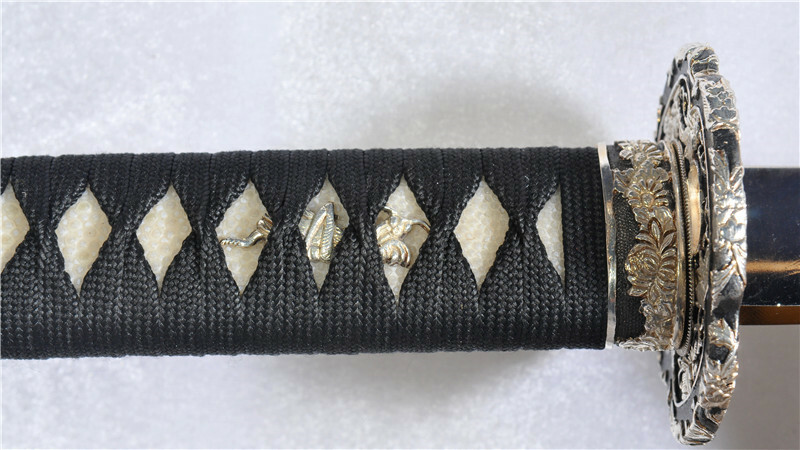 The menuki is a silver praying mantis while the habaki and seppa are also made of brass. 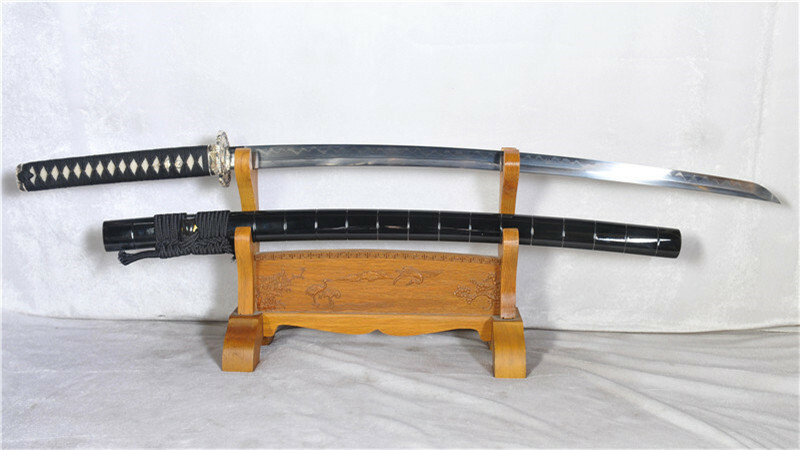 The saya is made of hardwood with black buffalo horn koiguchi, kurikata and kojiri. 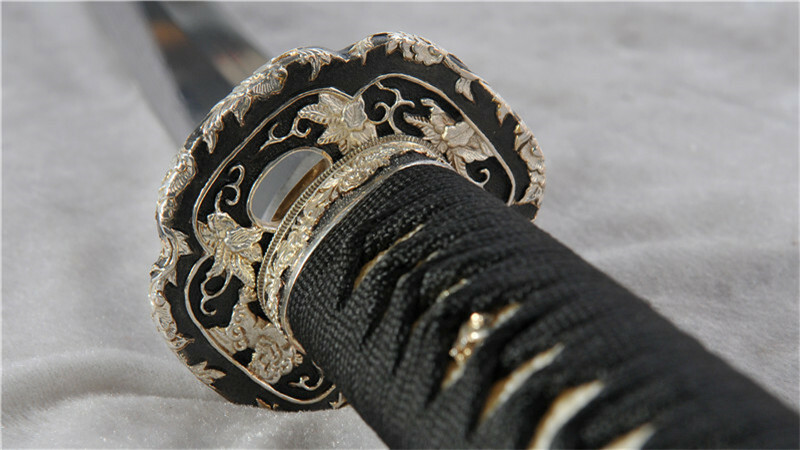 It has a smooth, black lacquer finish and has grooves along its length. 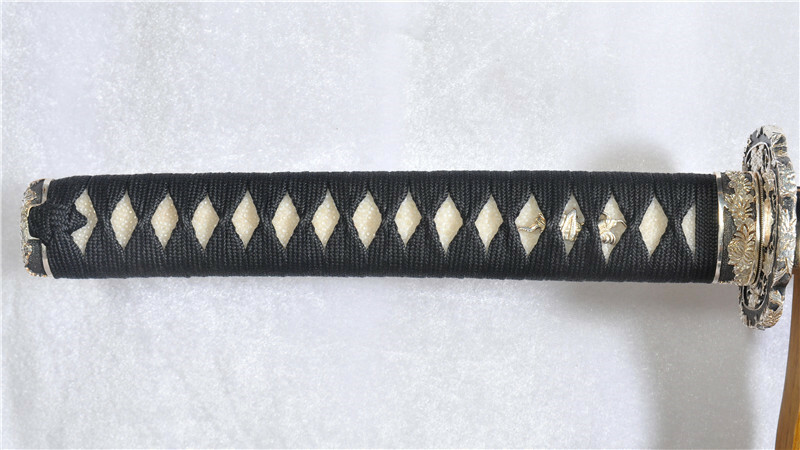 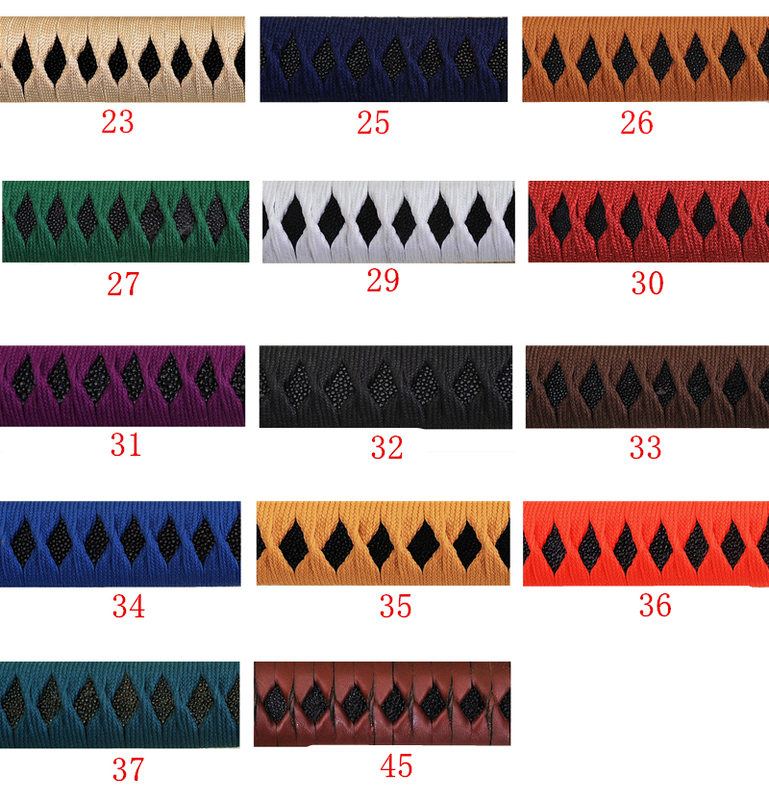 The sageo is black synthetic silk.